Depending on how you look at it, the Giants may have dodged a bullet. 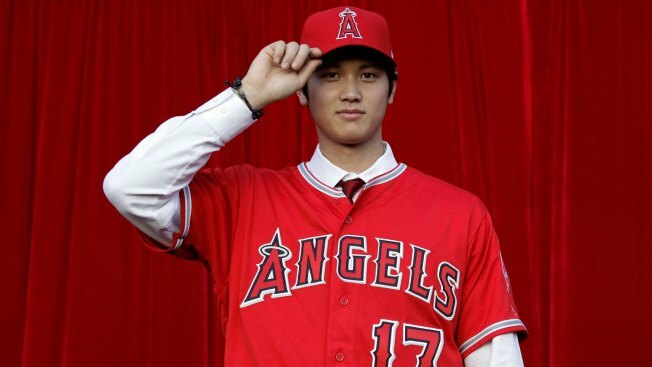 Two-way Japanese star Shohei Ohtani, who signed with the Angels last week, reportedly underwent platelet-rich plasma treatment for a damaged ulnar collateral ligament in his pitching elbow. According to a physical report obtained by Yahoo Sports, Ohtani has a first-degree sprain of his right UCL. Ohtani underwent the procedure on Oct. 20 in Tokyo, according to the report. Teams were made aware of the treatment when Ohtani was entered into the MLB posting system on Dec. 1. The Giants were one of seven finalists for the pitcher and slugger along with the Angels, Mariners, Rangers, Padres, Cubs and Dodgers. Ohtani should be able to pitch through the first-degree sprain, but any further damage would likely require season-ending Tommy John surgery.